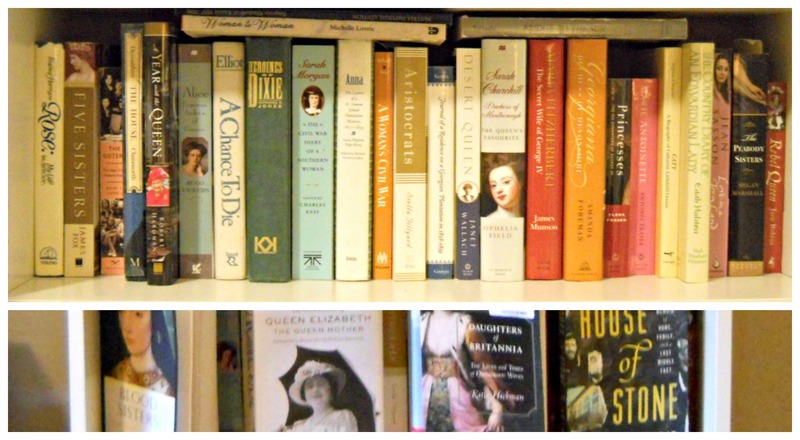 Today, I will be joining Modern Mrs. Darcy in posting a tour of my bookshelves. I’m so excited to have a reason to talk about my bookshelves. I could chat people’s ears off about them, but to be honest, a lot of people don’t care and I know it. So if you’re interested, here’s your virtual tour. Note: All our windows face north and don’t get direct light so our home is difficult to photograph. I apologize for the quality of the photos. First is my favorite bookshelf. 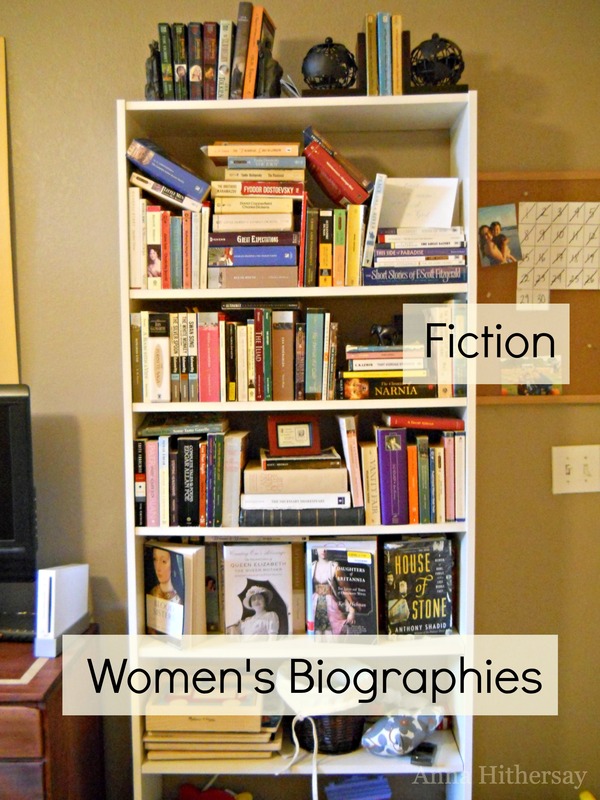 This one houses most of our Fiction collection and also my Women’s Biographies. 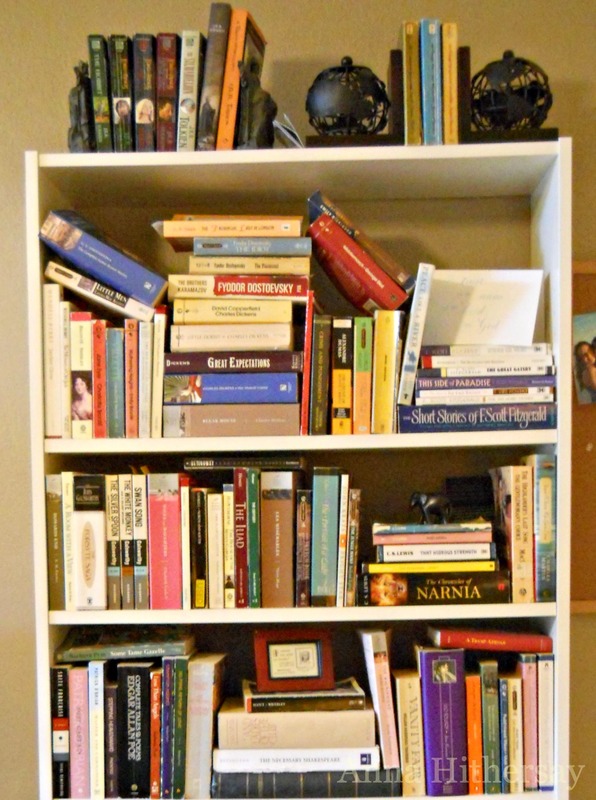 The Fiction is alphabetized-ish by author. Obviously I stack things different ways, but you could look by last name and find it pretty near where you think it should be. Tolkien is up top and so is Herriot. Most of it is Classic Fiction, but there’s a few exceptions. My collection of Women’s Biographies is ever-growing and no longer fits. 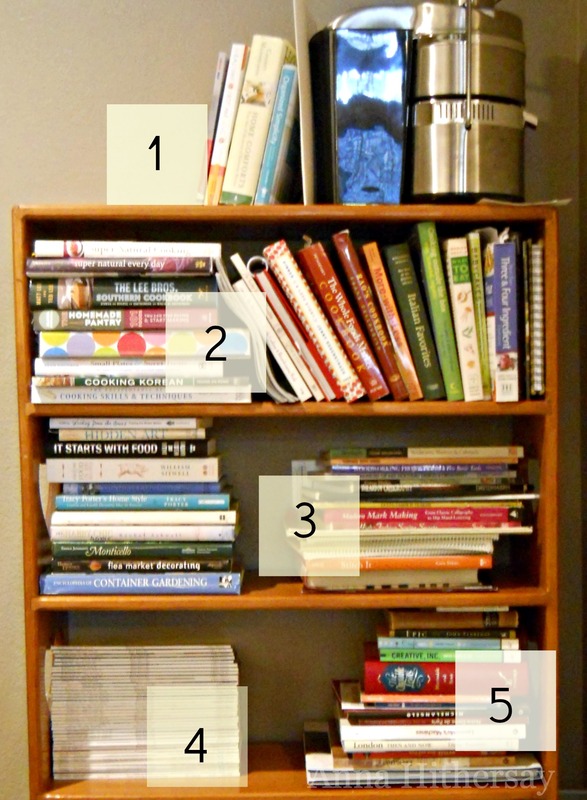 I realized the main photo had the “overflow” books in front so I took a second photo later of the main shelf behind. Here’s a closeup of the Fiction. And a closeup of biographies with and without the overflow. The Fiction/Biography shelf has a mirror bookshelf on the other side of the TV that mostly houses our movies, but below the movies are some Bibles and Nathan’s books in baskets. 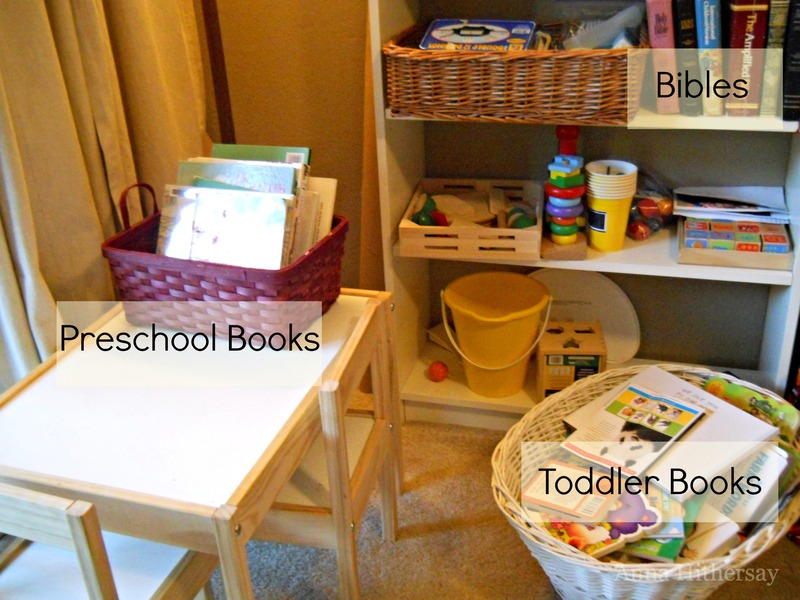 I need a third basket for his library books. Here’s a closeup of shelf 2 and 3. On the wall of the hall are floating shelves that house 4 of our favorite authors – Jane Austen and L.M. Montgomery for me and James Fennimore Cooper and C.S. Forester for Jason. I have many more Montgomery novels, but these are the Anne and Emily books. The rest are in a box right now waiting for more/better shelving. In the Dining room we have two shelves. One is for housekeeping, art supplies, etc. and then this one. 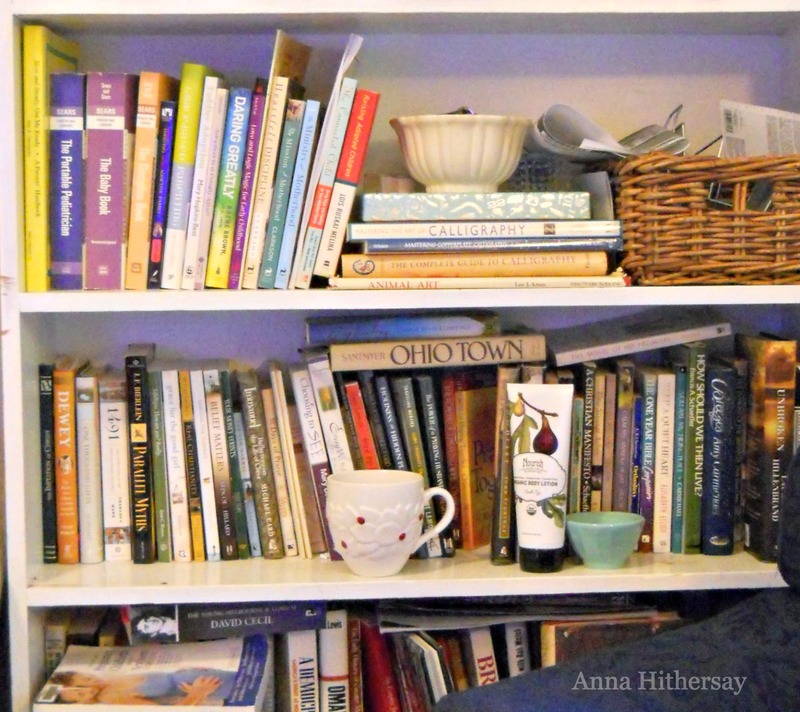 Here you have: 1) home organization, 2) Cookbooks 3) miscellaneous Art, Homemaking, Decorating, Sewing, books, 4) Victoria Magazines past and present – my favorite magazine 5) random books, some from a trip to Europe and some that used to be on my desk. Here’s a zoomed in look at the top two shelves. We have more books than this. There are a couple shelves of children’s books that are above his age level in Nathan’s room. Jason and I both have a stack of books on our bedside tables and I have some pregnancy books in my room for reference. There are books in the bathrooms and my Montgomery books and other girlhood favorites are in a box waiting for better shelving. But what you see is the bulk of it. So, see anything you recognize? Anything you love too? Any questions? I love to talk about my books! So many books!! Love that floating shelf on the wall too 😉 I don’t have physical copes of Montgomery’s books…but they are on my Kindle now. I feel like I need to reread them! I love the Anne books and keep meaning to dive into the Emily books – I’ve heard they are fantastic! Yes, I actually like Emily even better than Anne, which is not at all a slam to Anne – it just shows how awesome Emily is! If you enjoyed those two, I can recommend Princesses which is about George III’s daughters and also Georgiana: Duchess of Devonshire and Privilege and Scandal which is about Harriet her sister. They were friends of both Marie Antoinette and George IV. I love reading about people who were all interconnected like that. Thx! I own Georgiana, so I’m sure I’ll like the other two–I just put them on hold–now I must stop sleeping to get through all these books!! Your shelf organization is very impressive! Clearly you are a professional! 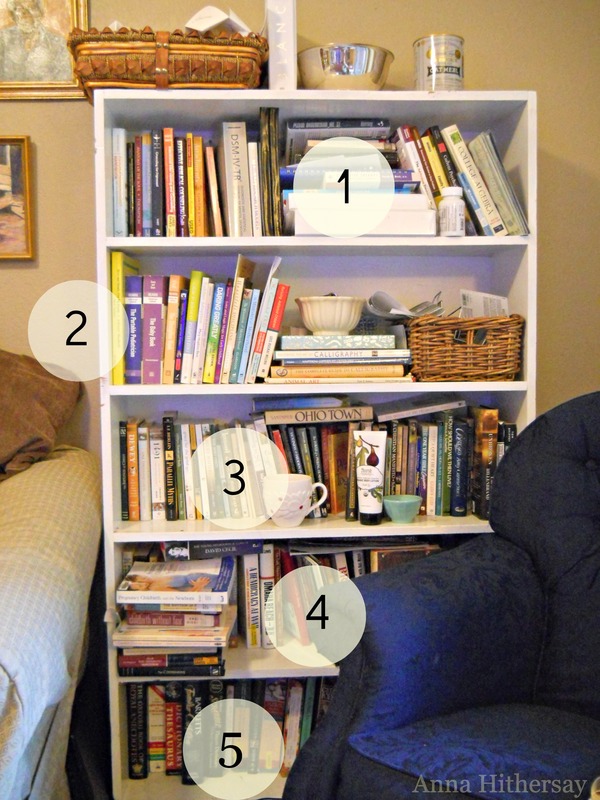 Can you come over and organize my book shelves? They’re in need of a little dewey decimal magic. My shelf organization is best described as aesthetic/decorative….which is great as long as you have no need to find a particular book. I would actually think it great fun to organize your shelves – probably not by Dewey, but by whatever way you tend to think about your books. Yes, we have Narnia on two shelves. My husband’s copy is on our Fiction shelf and then I bought a case of the vintage set like I grew up with and they are in my son’s room. 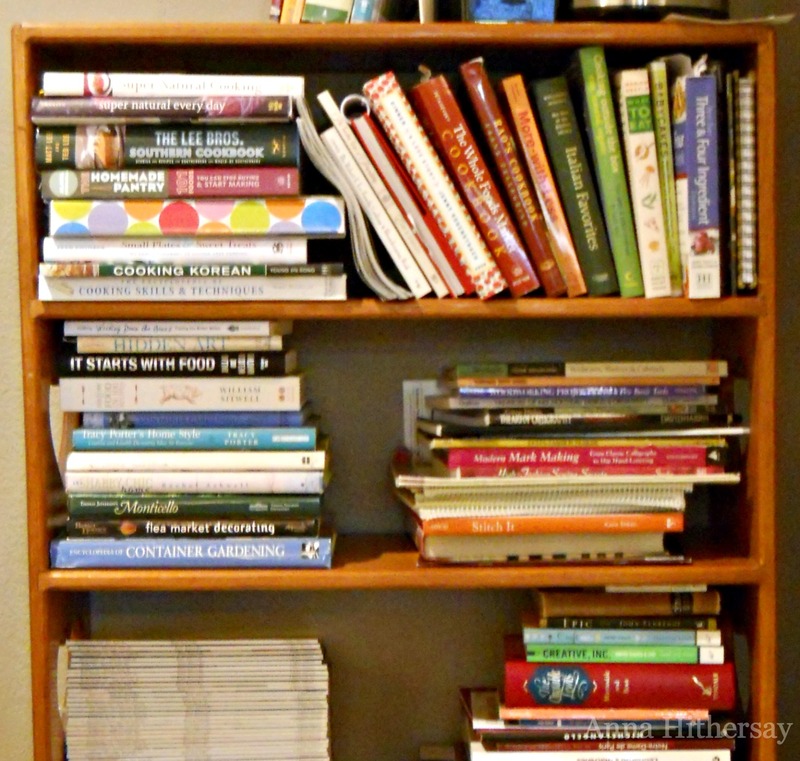 Oh so many good books on your shelves! I think I need to spend some time adding to my to-read list- especially in your women’s biography section. 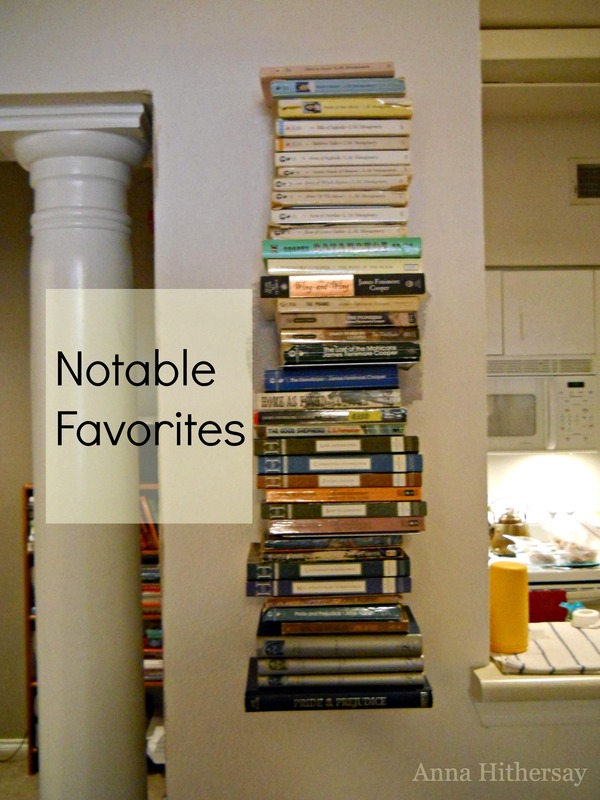 You have a number of my favorites there so I’m betting I’ll enjoy the others too 🙂 I’m especially intrigued by the Maria Fitzherbert bio-must track that down! These are all so pretty, but I especially love the floating shelves with the his and hers favorites! Thanks for sharing your shelves with us. A CHANCE TO DIE — I’ve read that baby a couple of times. Have you read the new biography on LMM? It’s called THE GIFT OF WINGS and was written by the co-editor of her journals, Mary Rubio. It’s utterly amazing (and heartbreaking).